The research station is legally owned by the Kativik Regional Government (KRG), but it is operated by CEN through a long-term lease. This station is part of the CEN Network and is part of a provincial park that is co-managed by KRG and the government of Québec (Tursujuq Park). Clearwater Lake is the second largest natural lake of the province of Québec (2243 km²). CEN research has been conducted here since 1980, but the station buildings are recent, built in 2000 and upgraded in 2011. The buildings were originally built by outfitters but have been considerably upgraded by the CEN. The three buildings can accommodate 11 people. They are equipped with solar powered electricity, running water, dry toilettes, and oil heating. Situated in Nunavik on the shores of Clearwater Lake (Lac ö l’Eau Claire, 56° 20′ 59” N, 74° 26′ 25”W), the station is about 125 km inland from the eastern coast of Hudson Bay. Year-Round Research Station (no station manager). High level of self-sufficiency is required. Research focused on regional ecosystem dynamics, specifically on the response of the forest to disturbances such as fire and insect outbreaks, dendrochronology, riparian vegetation and biodiversity, periglacial processes, secular variations in water levels, and hydrology. Other research on limnology of the two basins, geological and geomorphological history, and biophysical features of the area. Wildlife and archeological studies have been conducted. Permafrost studies – geomorphology, green has emissions, aquatic systems (thermokarst ponds), wetland paleoecology, biodiversity & dynamics of northern aquatic ecosystems, groundwater hydrology, snow dynamics, lake bottom mapping, plant community dynamics. Fuel must be flown in; arrangements must be made prior to arrival. CEN Clearwater Lake Station is within the limits of Tursujuq Park, you must apply for a research permit: www.nunavikparks.ca/en/parks/tursujuq/index.htm. The local authorities from Umiujaq and Whapmagoostui-Kuujjuarapik should also be informed of your work. The station is accessible year-round by helicopter, snowmobile, or float plane. About 10 km to the southeast, there is a natural airstrip maintained by Air Inuit. However, a river separates the station from the airstrip. CEN operates three climate stations in and around the western basin of the lake, one of which is on a small island directly in the centre of the basin since 1986.  Other than the scientific literature available, CEN has extensive climate data since 1986, available at www.cen.ulaval.ca/nordicanad and upon request (cen@cen.ulaval.ca). Clearwater Lake is situated within the boundaries of a provincial park and on aboriginal land. First Nations people, the Cree, still use the land extensively for hunting and fishing, especially during spring and autumn. There are no permanent settlements around the station, the closest village being Umiujaq, about 125 km west on the shores of Hudson Bay. Access to the station is organized by CEN from the Whapmagoostui-Kuujjuarapik Research Station. This is an isolated station in a provincial park; therefore all research activities must be proposed and planned in advance. Contact CEN (cen@cen.ulaval.ca) for more information.